The 2018 Regal TourX is set to reinvigorate the Regal name when it goes on sale later this year. It certainly appears to be priced to sell at just under $30,000 based on the latest order guides. Although it will undercut luxury vehicles like the Volvo V60 and BMW 3 Series Wagon, there's a quirk that could result in shoppers seeing much higher prices than the attractive starting MSRP. So what kinds of features will you get for the money? And how will the vehicle stack up in terms of price? Editor's Note: We've added some additional detail about trim differences for clarity. Pricing for the 2018 Regal TourX 1SV will start at $29,995 with destination. Standard features include 18-inch aluminum wheels, active noise cancellation, push-button start, heated side mirrors, a universal home remote and more. All styles get the same 2.0-liter turbo rated at 250 hp with 265 lb-ft of torque paired to an 8-speed automatic and standard all-wheel drive. However, it's a good bet that the $33,575 TourX Preferred 1SB will probably be the one you end up seeing stocked at dealers. That's because models like the 1SV tend to be used for advertising and are almost always excluded from promotions as is the case with nearly every other Buick. The Preferred is nearly identical to the 1SV but adds an auto-dimming rearview mirror, leather-wrapped steering wheel, power driver's seat with lumbar support and door sill plates. It also offers the full exterior color palette as opposed to the rather limited choices of black, white or silver in the 1SV. Buyers also get access to assistance features like auto-leveling headlamps, rear park assist, blind spot monitor with cross-traffic alert and more with the $1,240 Driver Confidence Package. A panoramic roof is a $1,200 option. However, at this level there's no option to upgrade to a leather interior or from single-zone climate control. The range-topping TourX Essence 1SL will start at $35,945. It's the only version you'll be able to get with leather, which is standard. A notable advantage is a larger 8-inch touchscreen with Apple CarPlay and Android Auto connectivity. It's also the only style that comes with dual-zone climate control. When adding $2,915 in option packages to the Essence, buyers can add adaptive cruise control, forward collision alert with automatic emergency braking, lane-keeping assist, pedestrian detection and more. As a result, a TourX with the full range of driver assistance gear starts at $38,860. 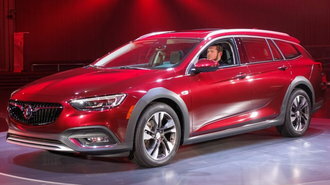 With a base price of $29,995, the TourX looks like a compelling choice for anyone shopping for a versatile wagon with a high ride height and premium look. For comparison, the Volvo V60 starts at $37,145 while a BMW 3-Series Wagon doesn't even start until well over $43,000. The Audi allroad starts at $45,475. We suspect the TourX will be attractive to shoppers in the middle between the over-$40,000 field and mainstream vehicles like the Subaru Outback and Volkswagen Golf Alltrack. If the $33,575 Preferred ends up being the one that's actually stocked, we think there will be some compelling alternatives. At $33,610, the Outback 2.5i Limited offers leather-trimmed seats, wood-themed interior, 8-inch touchscreen with Apple CarPlay and Android Auto and more. For about the same price, the $33,710 Golf Alltrack SEL offers heated leatherette seats, a panoramic roof plus Fender audio. Will the TourX be a hit? From a performance standpoint, its 250 hp turbo could offer a more exciting alternative to the 170 hp Alltrack and 175 hp Outback. 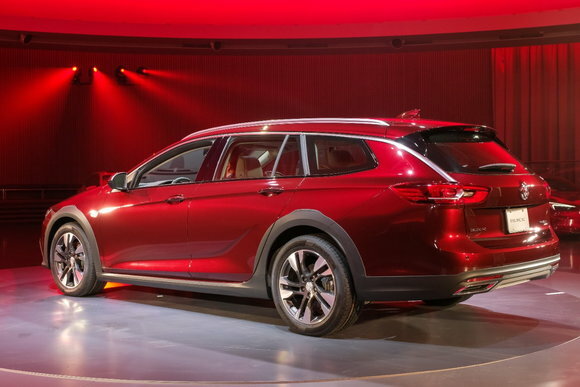 Boasting a fresh design that will sell alongside the revamped 2018 Enclave, the vehicle appears poised to attract shoppers who may not have ever considered buying a Buick before.